A locavore’s brunch today! Mae Farm pulled pork over local country potatoes and pasture raised farm eggs. Combined with a bloody mary and local pickled okra and I am ready for another Monday! It’s been a while since I’ve eaten out at lunch–I have been pretty good about bringing my lunch to work (usually leftovers) and lately I’ve had quite a few no-time-for-lunch days. So I was glad to head out with some fun ladies to Chuck’s, a local restaurant featuring hamburgers made from house ground, locally sourced, pasture-raised beef. Yep. All burgers, all the time. Well, and veggie burgers, too. I haven’t had a hamburger in a LONG time and let me tell you, it was GOOD. Chuck’s is owned by local celebrity chef Ashley Christenson. Her restaurants and bars always have a hip vibe, creative food and mostly locally sourced ingredients. Trendy? Yes. Good? Yes. I don’t mind paying a bit for a burger if it is amazing (you’ve already heard my rants about paying a whole lot for nothing–that irks me). I had a burger called The High and The Valley–a half pound (yes!) of ground beef with crushed avocado, bacon-onion jam and roasted red peppers. Along with a pile o’ fries. Oh. My. Goodness. My friends had the veggie burger with mozzarella/tomato/basil (high ratings), and The Dirty South–a burger topped with pulled pork chili, crispy onions, roasted tomato slaw, Ashe County cheddar and mustard. 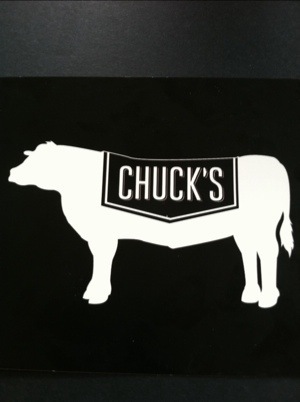 The beef at Chuck’s comes from North Carolina and is ground in-house. At $9 for the burger and $2.50 for the fries, it isn’t a cheap lunch, but it is very, very good and immensely satisfying if you need a burger fix and you are REALLY hungry. I was so full that I easily skipped dinner and that is highly unusual for me. After waddling our way back to work, we decided that sometimes, you just gotta. At least we got our meat fix with local beef, local produce and a locally owned restaurant! Chuck’s goes on my “highly recommend” list for sure. Yum-a-licious. So, I am still thinking about the issue of whether or not local food can be truly accessible. After my last dining out experience, I wasn’t too sure, but we ventured out for a post-5K brunch at Lucky 32 in Cary, and I’m feeling better about it. Lucky 32 has undergone somewhat of a revolution in the past few years. The food has always been good, with a southern emphasis and cool, but family friendly vibe. Over the past 3-4 years, the restaurant rebranded itself as “Lucky 32 Southern Kitchen” and began a Farm to Fork journey that included developing relationships with local meat producers, vegetable farmers, cheese makers and even brewmasters. They are one of the few restaurants in Cary that features a menu of mostly local food. We noticed that the menu has a list of some of the restaurant’s farm partners and a brief description of them, which is nice, and they also sell fresh vegetables at little farm carts around the restaurant. Not sure how successful that is, but it is cute and reminds you that you are not just eating food on a plate, you are supporting a local farmer. So all total, our brunch came to $18 for the two of us. That is right–$18. That is only $4 more than the one hamburger I had the other night and my brunch was absolutely delicious and almost more than I could eat. Almost. A recent girls night out had me wondering if sustainable, locally produced food can truly be accessible. A friend and I had dinner at a locally sourced restaurant in Holly Springs called The Little Hen. The restaurant is not new, but it has received a lot of press lately, so we were eager to try it. While I associate Holly Springs with gated communities and McMansions, it hasn’t exactly been a location for high-end dining, so I figured we were probably in for a nice and affordable dinner. I wasn’t quite on the mark for that one. It was nice, but the pricing made me wonder if it is possible to be local and affordable. Maybe it isn’t. Or, maybe local sourcing has become so trendy that families are now priced out of sustainable dining. The Little Hen is located in a suburban shopping center and while the exterior is very “shopping center,” the interior is very trendy and cool. We arrived at 5:30, were greeted and asked if we had reservations (we did not) and told that the restaurant was “very busy” (it was not) so our only option was to share one of two available tables with others. Weird, but ok. We settled in and were given menus and our utensils wrapped in little dish towels, which also served as our napkins (cute). The menu features three entrees, about a half-dozen appetizers (mostly salads or cheese plates) and two special group dinners (either $45 for two or $50 per person) that feature a large carving board with different kinds of food to sample. We weren’t hungry enough for the sampler, so we headed for the entrees. In hindsight, we probably would have done better with the “Big Board” sampler. The three entrees available were a cheeseburger and fingerling potatoes ($14), a pork chop and vegetables ($22) and a farm egg with ramps and garlic spaetzle ($14). Salads and cheese plates ran between $7 and $14. Not wanting to have ramp and garlic breath, I ordered a salad and the hamburger. I asked the server where their beef sourced from and she didn’t know (not good). She offered to find out, but never did. That, in my book, is a big red flag. I do notice that they claim “we use only sustainable pasture raised proteins from local farmers almost exclusively”. Almost? Well, where did my $14 hamburger come from? With only three entrees on the menu, someone should have been able to tell me. The burger was good, but overcooked. The potatoes were truly amazing–slightly smashed and fried, then topped with sea salt. The salad was good–baby spinach and arugula with shaved apple, raw beet and cucumber. I’ve decided that while I love beets roasted and pickled, I’m not a huge fan of them raw, but they were ok. We shared a dessert that was some kind of bread pudding, but was really like a big, huge muffin. My total bill was about $40–almost half our weekly grocery bill for a burger, salad, part of a muffin and wine. In eating out at sustainable, local restaurants, this was my first “meh” experience. It was fine, but not great and well more than many of the downtown Raleigh restaurants serving locally produced food. At one point, a family with small children came in and I wondered if somehow the kitchen has a children’s dinner, because I can’t imagine spending $14 each for 3 hamburgers. As a mom myself, I think I would have run screaming for the door. I really think that if these locally based restaurants are going to survive, they need to lose the pretension and just get down to offering people good, local food. I get it that locally produced food costs more–I know because I’ve been buying it for my family for the past four months. But the model that sustainable, ethically produced food is only for the upscale trendy will be the locavore movement’s biggest downfall. We’ve proven that we can eat sustainably at home for a reasonable amount–and we have been eating very well on our budget. So part of me has no patience for businesses that can’t do the same for their customers. If local eating is really to become a bigger reality, then we need to engage a larger audience. That isn’t The Little Hen’s job, of course. They are one business and they have a vision for what they want to do and that’s fine. I’ll be surprised if they are still open in a year, but then, I never thought Build-A-Bear would take off either, so that shows you what an economic genius I am. As for my family, this restaurant is not affordable enough to become a regular place and not special enough to become a new “special occasion” restaurant. 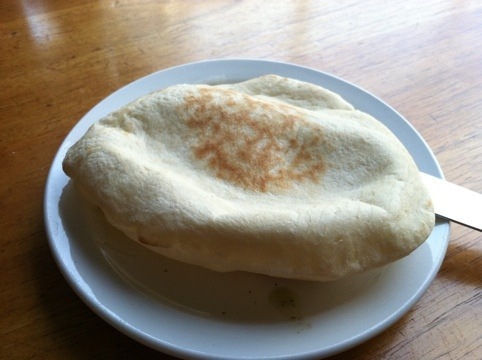 Hard to tell how warm and soft this pita is from the photo! When Ellie was very little, I enrolled her in a creative movement program for preschool children at the Raleigh School of Ballet. We spent every Saturday morning at the school and then we would join one of her classmates and her mom at next-door Neomonde Bakery. Owned by a Lebanese American family, Neomonde features food from the Middle East and the Mediterranean area. Their food is really absolutely delicious. Their homemade pita and flatbread are so good that many local grocers carry it. Part casual restaurant, part grocery, part take out, Neomonde has a stellar reputation in the area for fresh, Mediterranean and Middle Eastern food. I don’t know how many quarts of humus I ate during those post-dance meetings, but it was all good–lots of garlic and a topping of cold pressed olive oil. YUM. A few years ago, the owners of Neomonde opened their own restaurant, Sitti, in downtown Raleigh, and while the food and ambiance are more upscale (I wouldn’t bring two rowdy ballerinas here! 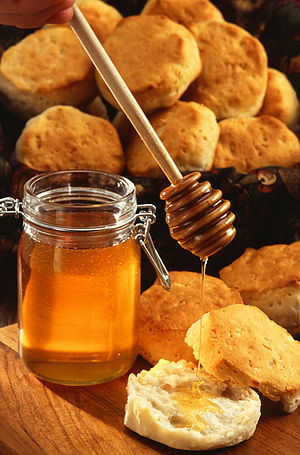 ), it is all fresh, homemade and amazing. Sitti is a member of North Carolina’s 10% Challenge, meaning they have agreed to purchase at least 10% of their produce and food products from North Carolina farms. Our lunches were huge, super fresh and wonderful. Ellie had the chicken shawarma pizzette–a flatbread “pizza” with chicken shawarma, cheeses, roasted garlic and onions. It also came with a salad as big as her head. I had the curried chicken special–a huge mound of fresh, chicken salad loaded with my new favorite spice, turmeric! The chicken salad was served on a bed of field greens, cucumber, tomatoes, oranges and roasted red peppers. The whole thing was sprinkled with feta cheese. Needless to say, we have lunch for tomorrow as well! My curried chicken salad was delicious and lovely! 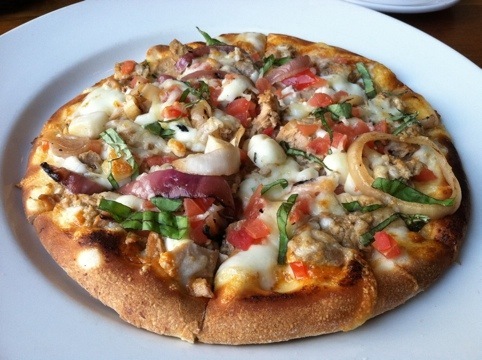 Ellie's chicken shawarma pizzette was made on fresh flatbread and cooked to perfection in the wood oven. Yum. Kudos to Sitti for bringing Mediterranean and Med-inspired food to downtown Raleigh. And for giving us a continuation of mother-daughter time centered on healthy, fresh food. When it comes to food, you really can’t tell a book (or a restaurant) by its cover. I’ve been to some trendy “local” restaurants where it was clear that they spent more time picking the font for the logo than testing the menu. Conversely, I’ve been to some wonderful places that, from the outside, didn’t have a lot of spark, but actually had satisfying, fresh food. Crema in downtown Raleigh, is like that. Good food, but it’s easy to miss. Glad I remembered it yesterday when I was running low on energy and didn’t have any leftovers to bring for lunch. Crema is on Fayetteville Street in downtown Raleigh, just a 1/2 block south of the Capitol. It’s main claim to fame is homemade ice cream, which in the summer is actually hard to find downtown. I’m not ready for all that, although the temperature was 85 degrees yesterday afternoon. I was looking for a fresh and light lunch, so I entered the easily passable storefront and I was in for a wonderful surprise. Crema purchases much of their ingredients locally and they make almost everything from scratch. In the end, I took my marinated tomato and brie sandwich with cucumber salad to the grounds of the Capitol for a picnic lunch. At $4.99, it was a genuine bargain for a downtown lunch. The sandwich was so good, I need to remember to make it at home, where olive oil dribbling down my chin is a little more accepted. The sandwich was just sliced tomatoes marinated in a vinaigrette, with slices of brie cheese and field greens on a warm baguette. Easy and more interesting than the standard sandwich–so why don’t I ever do this? 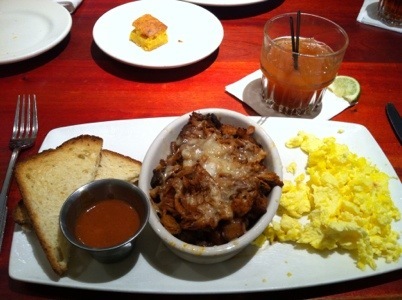 Crema is open 6 days a week, so if you are looking for the elusive downtown Saturday lunch spot, give them a try! The Market Restaurant provides fresh, organic, locally produced food! I work with some really awesome people who, thankfully for me, seem to “get” me. For my birthday, they gave me a generous gift card to a restaurant in Raleigh called Market. Market serves primarily locally grown, seasonal food and locally produced, pasture-raised, pasture-fed meat. How did I not know about this place??? So on my birthday yesterday, my husband and I walked to lunch at Market and enjoyed a very healthy and delicious lunch! Market is located in Raleigh on the north end of Blount Street (for you Raleigh natives, it’s down near the Pilot Mill Building, where Halifax Court used to be). In a converted service station, Market is on the small side, with about 15 tables inside and a few more on the patio. Lunch begins at 11:30 and when we arrived at 11:20, there were already people waiting to get in. By the time we left at about 12:15, it was full, so get there early! They also serve dinner and sometimes Sunday brunch. The menu clearly articulates the mission statement of Market and lists their local producers (yay!!). Was glad to see our favorite Mae Farm listed! Since Fridays feature $5 Friday specials, we both had the specials and I had a house salad, which was very fresh and probably the best salad I’ve had in a while. I had the vegan 3 bean chili special, which was a thick, spicy chili served over jasmine rice. On a chilly winter day, it was perfect. My husband had the pulled pork sandwich with apple/cabbage slaw and he really liked it, although he didn’t like the pickled onions served on the sandwich (easy fix, scrape them off and move on). Other specials included rockfish tacos and risotto with mushrooms and squash. Other entrees included fried duck salad and a variation of pupusas. When we left, we felt full, but not stuffed, which was nice. The portions are satisfying, but not overly huge. Would love to try their brunch sometime. The staff regularly post specials and events to their Facebook page and Twitter, so it’s easy to keep up with the menu. I hope Market is just the beginning of socially conscious dining in Raleigh. They certainly prove that you can be organic, sustainable and local and still have really yummy food!